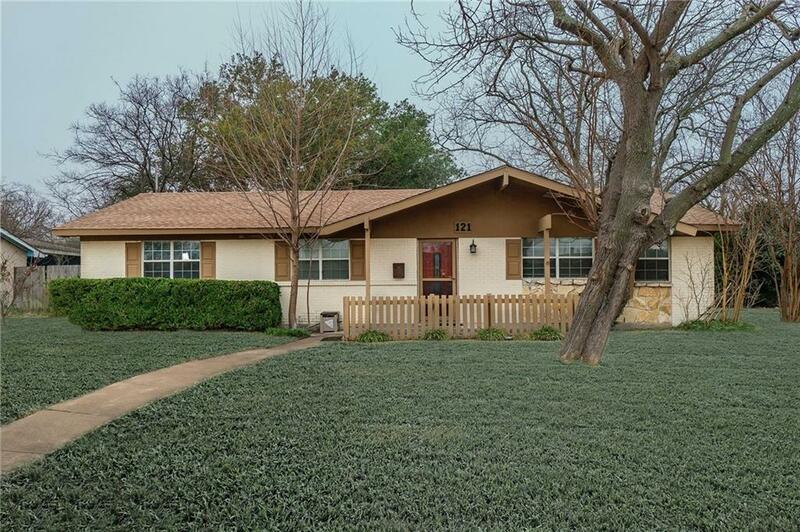 This charming 4 bedroom, 3 bath home sits perfectly in a quiet neighborhood surrounded by large oak trees. The large open kitchen features granite counter tops, a stainless steel gas range and lots of cabinet space for extra storage. You will find the tile and beautiful laminate wood flooring throughout the main living areas makes it easy for upkeeping. Oversized master bedroom with sitting area and fireplace. Enjoy the second master bedroom with an ensuite bath that adds to this already amazing home. Close to dining, shopping and entertainment for the whole family.